In today’s day and age, there is a cure for everything. From problems related to sight to other diseases, everything can be cured with technology. Focusing on eye related problems, various eyeglasses are available in the market which comes to the aid of wearers suffering from eye related defects. But, do eyeglasses meet our fashionable needs? People have opted for contact lenses instead to be in the midst of fashion and style. 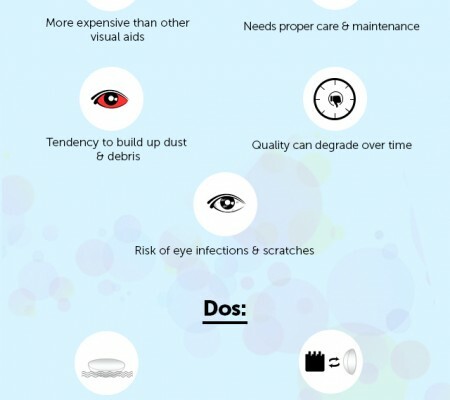 There are various types of contact lenses to correct different type of sight problems. Problems such as near-sightedness, far-sightedness, presbyopia etc. can be rectified with the use of technologically advanced contact lenses. What about astigmatism? Can it be corrected by sporting contact lenses? Astigmatism is a defect in the eye or in a lens caused by a deviation from spherical curvature, which results in distorted images as light rays are prevented from meeting at a common focus. Regular and irregular astigmatism can be treated through proper eyeglasses. But nowadays it is possible to correct astigmatism by using contact lenses as well. These special contacts are known as Toric Contact Lenses. Toric contact lenses are specially designed soft contact lenses that correct astigmatism. Most toric contacts for astigmatism are indeed soft lenses — made either of a conventional hydrogel material or a highly breathable silicone hydrogel. But there are toric contact lenses made of rigid gas permeable (GP) contact lens materials, too. Toric lenses have different powers in different meridians of the lens to correct the varying amount of near-sightedness or far-sightedness in different meridians of the eye that characterizes astigmatism. Toric lenses have a design feature that enables the lens to rotate to the proper orientation on the cornea so that the power meridians of the lens align with the appropriate meridians of the eye for clear vision. The principle on which Toric contact lenses work is that spherical lenses have the same power all around the lens, so it doesn’t matter if the lens rotates on your eye. Toric lenses have two different powers in the lens, so they must remain in position for best visual acuity. Some toric lenses are heavier (ballasted) at the bottom to keep from rotating. These are a revolution in the lens technology. 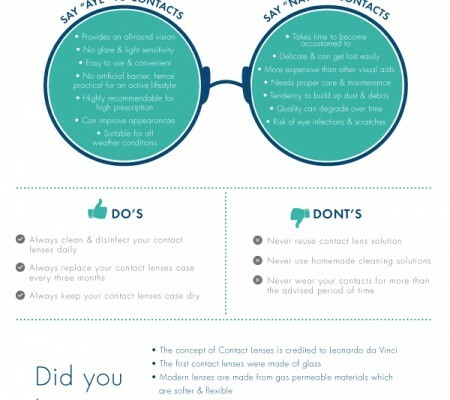 Correcting astigmatism is no more a complex phenomenon as toric contact lenses are here to help. Being a tad expensive, these lenses are worth buying only if you are astigmatic. 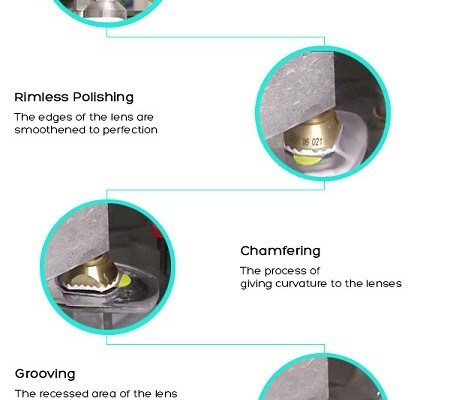 These lenses have truly revolutionized our world of vision.